The claim to stake when releasing new wedges is that they spin more than ever, particularly for the player who struggles to impart check on the ball from inside 100 yards. Ping Golf took a different approach with its new Glide wedges, emphasizing its design began at the grip all the way down to the sole. For starters, the grip is about three-quarters of an inch longer than a standard grip, designed to encourage gripping down on the club for more control in any situation. The CFS Wedge shaft is designed to provide lower ball flight for wedges, which may be good or bad depending on how you swing. The chrome-plated 431 stainless steel head features Gorge grooves, with the lower-lofted wedges having grooves not as deep in favor of control, while the higher lofts have deeper grooves for more spin. Finally, the line also has three sole options -- thin, standard and wide -- to match with how any player attacks the ball and the kind of turf conditions they typically face. Put it all together, and Ping says these wedges do what their name says. 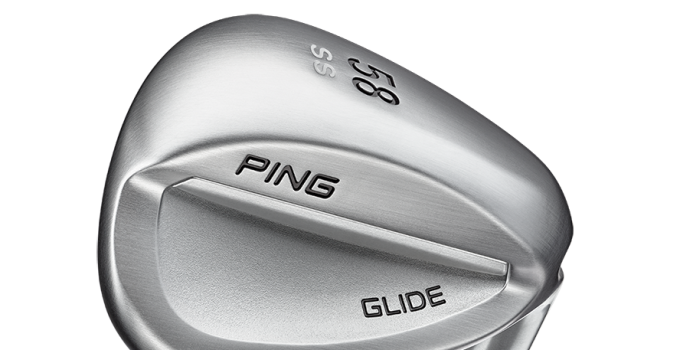 The Ping Golf glide wedges are available for pre-order at $140 per wedge in a steel shaft. Add $20 per wedge for a graphite shaft.